I was already planning on wasting that two hours. . . hey! I accomplished my goal, go me! Okay I just watched some of it. Isn't Ace supposed to be cool? Yeah, I feel sorry for him too because he really is a good actor. I agree that the boy has talent. Little Kitten wrote: When I heard about this movie I was just shocked. 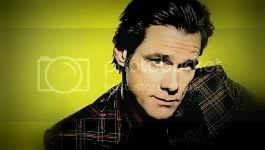 I mean, why would they want to try remake Jim`s movies, when he is the most brilliant comedy actor in the world?? ?They aren`t gonna find a better Jim to play his parts, so what is the point of tryin`? Because even when you die, the world keeps turning. I've seen this movie on cartoon network. It's horrible. YesGirl wrote: I've seen this movie on cartoon network. It's horrible. MY GOD IT WAS HORRRIBLE! !